The presence of electric vehicles seems inevitable today. Beside the Tesla has been produced, it turns out that more and more other electric cars are produced or introduced. 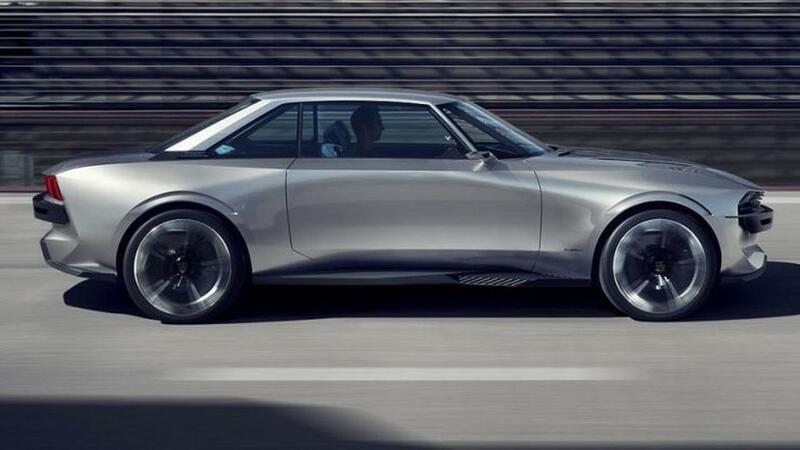 As like Peugeot that doesn't want to be outdone by presenting the e-Legend concept that will take place at the 2018 Paris Motor Show. The unique appearance of e-Legend is equipped with twin modules of low headlamps and front bumper. These concept appearance is reminiscent us to the Peugeot car in the 1960s era, when chrome-plated stainless steel bumpers were becoming a world trend. At the back, the three-claw graphics are the signature of the tail lights. As we all knew, in the late 1960s, Peugeot had ever been collaborated with Pininfarina to design the Peugeot 504 coupe. And the Peugeot 504 was first introduced in 1968 and its last production in 1983. Yes, the Peugeot e-Legend concept is inspired from the Peugeot 504 of 1960s, but it's a fully electric powered car and equipped with a sophisticated driver system. And its double headlights maintain the typical 504 design. And the front grille is only one of the supporting accessories intended to strengthen the classic appearance of this car, due to the e-Legend does not use conventional engines. As reported by Paultan, its looks might be old school but the engine is not like it looks. The Peugeot e-Legend is powered by two electric motors. Those electric motors able to spew 456 hp of power and 800 Nm of torque, so makes it can be accelerate from zero up to 100 km/h in less than 4 seconds and top speed of 224 km/h. 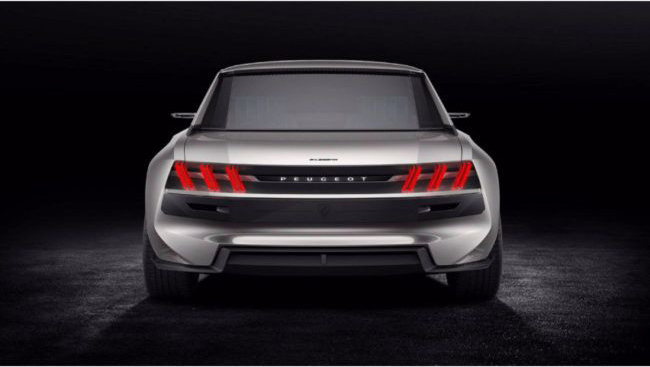 Those power is supported by a 100 kWh battery which allows the e-Legend to be able to roam up to a distance of 600 km. 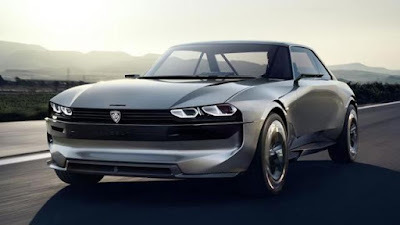 To facilitate charging the battery, Peugeot e-Legend is equipped with a wireless charging system, which the manufacturer claims that the battery only takes 25 minutes to charge that can be used for travel as far as 500 km.